The Stream Breeze Bolt model is our Portable Multi-Camera Video Production & Streaming solution. Perfect for Webinars, Corporate Learning, Distance learning, Podcasters and more. The Bolt allows you to combine up to 4 live cameras with video clips, titles, overlays and more. With built-in effects, virtual sets, green screen, picture-in-picture, animated lower thirds, titling, graphics and editing software it has everything you need to start (or expand) your own video production studio. Priced at $6,295.00 Custom configuration available. Includes 1 hour of FREE training! Call us today at 727-573-9600 to schedule a Live Demo! 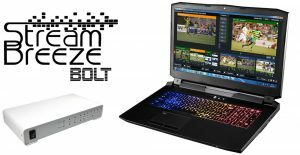 Stream Breeze Bolt is a truly portable and versatile turnkey solution for multi-camera live video switching and streaming. Offering four flexible digital inputs, the Bolt excels at live switching and streaming for live performance events, houses of worship, corporate markets, podcasting and much more. 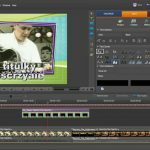 With high impact features like virtual sets, green screen, picture in picture, animated lower thirds, titling, graphics and editing software – Stream Breeze Bolt is a powerhouse production system in an ultra-compact form. Portable and user-friendly, this all in one system streams and records in both HD and SD, can be controlled with your smartphone or tablet and comes with real-time live remote training and support. Video Files – Support for all popular video file formats including AVI, MP4, H264, MPEG-2, WMV and QuickTime. Burn DVDs with menu navigation. Video and Audio Play Lists – Combine multiple video and/or audio files into a single Input for sequential playback. File Import – Power Point, Photos, Flash, RTMP, Solid Color and more. Audio Files – MP3 and WAV audio files Audio Devices – Utilize multiple audio sources with full mixing capability including sound card. Audio Capture – Support for Skype and other video conference software. Audio Mixer – Built in audio mixer allows you to easily keep track of all audio sources and includes the ability to mute, follow (auto mixing) and delay any source. VU Meter – VU Meter is also included with a peaking display to ensure each input’s level is broadcast ready. Transition Effects – Ten transition effects – cut, fade, zoom, wipe, slide, fly, cross zoom, fly rotate, cube and cube zoom transitions available with 4 customizable transition buttons for easy access to your favorite effects. File Import – PowerPoint, Photos, Flash, RTMP, Solid Color and more. Virtual Sets – Four built-in HD Virtual Sets with high-quality real-time Chroma Key. Or build your own. Full Motion Zoom – Customizable camera position presets. High-Quality Chroma Key – Use with or without virtual sets to suit your production needs. 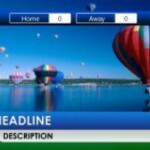 Titling – Built-in title templates. Templates – Easily add and edit a title or Score Board from the many built-in templates. Adjust text, font size and color in real-time with instant updates. 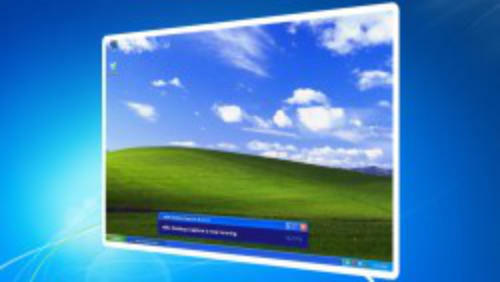 Or build your own using any graphics or editing software. Video Delay – Create a video delay input and assign it to any available camera or output. Live Video Effects – Color correct, de-interlace, sharpen, zoom, rotate, pan and crop any input in real time. (All effects are processed in 4:4:4 32bit color space for optimal video quality). Multi-View – Combine multiple inputs together using the different “Multi-View” presets or customize the position of each element with the available zoom, pan, rotate and crop controls. Overlay Channels – Four overlay channels in addition to the multi-view feature. 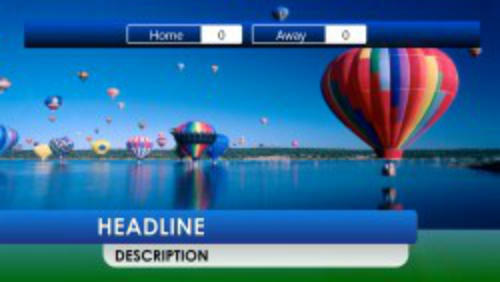 Each overlay channel can have its own transition effect, position and border. Video Clips – Save multiple video clips of notable events for playback at a later time. Streaming – Stream to your favorite streaming providers including UStream and LiveStream through Flash Media Live Encoder and Microsoft Expression Encoder. Recording Format – Live record in full HD or SD to AVI, MPEG-2 or WMV. Output via DVI or HDMI to monitor or projector. **Analog output available as an option upgrade. 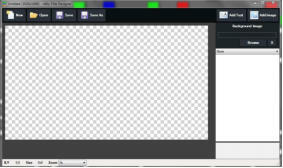 Virtual Capture – Virtual capture support for streaming to third-party software such as Skype, Google Hangout, and VLC. 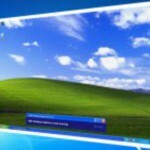 Web Based Capture Utility – Utilize screen capture for PC or Mac from remote desktops running on your network. Great for Power Point and Skype. Touch Screen – Web Interface Control – Control remotely using your Surface, iPad, Android or other touch screen device through the built-in web interface. Shortcut buttons – Customizable shortcut buttons can also be created to activate common production scenarios. Titling Software will allow even the technically inexperienced to quickly and effortlessly compose and arrange strikingly beautiful and impressive 3D Graphics, high-quality text and logos. Do you have pressing needs to finish your design project quickly and easily? Then don’t look any further! With the hundreds of templates built in you’ll be able to take advantage of a myriad of eye-catching effects like reflections and deformation textures. Or if you prefer, you could import your own images and modify and adapt them to meet your unique design needs! Create 3D text effect and logo animation in minutes for the website and your movies! You don’t even need to be proficient over the layout or 3D Design basics! 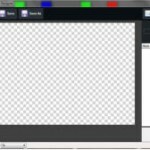 Export Animation to Movie, SWF (Windows), GIF animation or Image Sequence as you like. * New Web Browser input allows adding web pages directly into vMix as an input including audio and alpha channel. In addition, the web pages can be manipulated right from within vMix without having to jump out of vMix and into the browser! Existing Stream Breeze owners who have purchased their system within the past year are eligible for a FREE upgrade to the latest version. Longer-term owners can upgrade for $60. *NOTE* As always with mission-critical computer systems, perform a FULL SYSTEM BACKUP before attempting ANY upgrade. Here is a playlist of vMix Software Training Videos to learn more. Models may vary depending on custom software and hardware configuration.